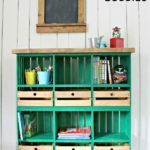 Rounding up 5 DIY crate projects with tutorials to share with you and peeps we need your votes please! 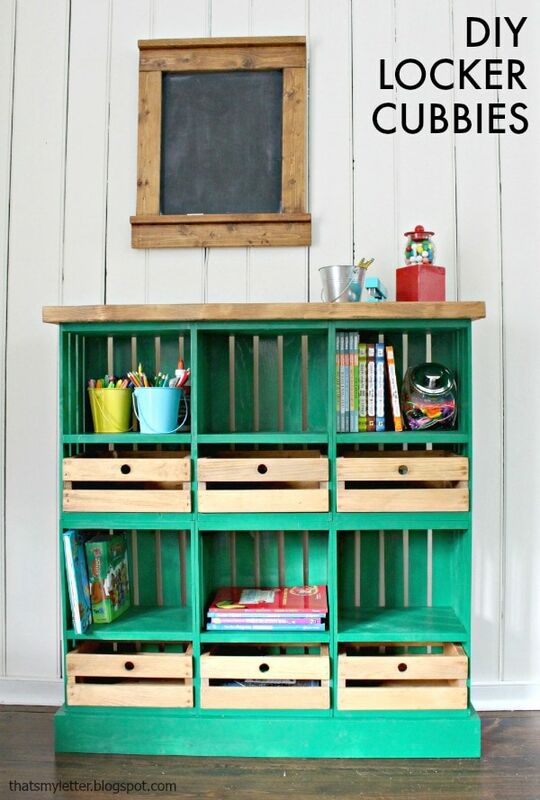 Check out all the projects and vote for your favorite over at Ryobi Nation here. 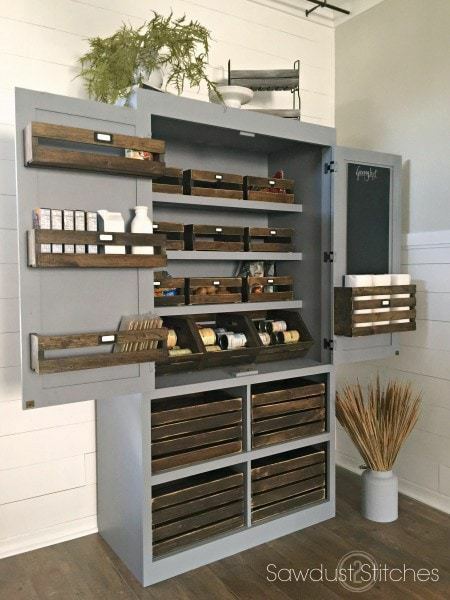 Corey at Sawdust 2 Stitches built this beautiful pantry and used multiple styles of crates to organize everything. All the details including build plans are here. 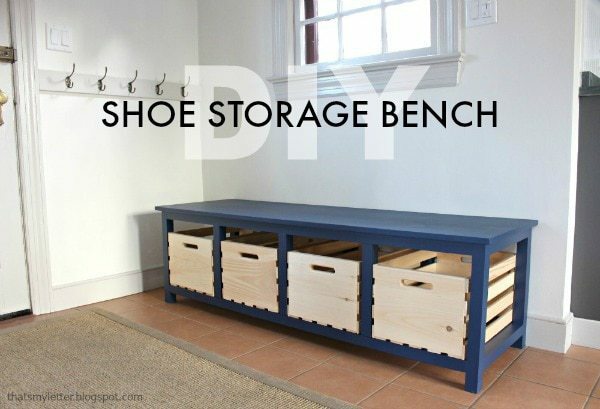 I shared this shoe storage bench for your mudroom or entry that uses 4 large crates to store all the shoes, hats, gloves, and accessories. The step by step plans are here. 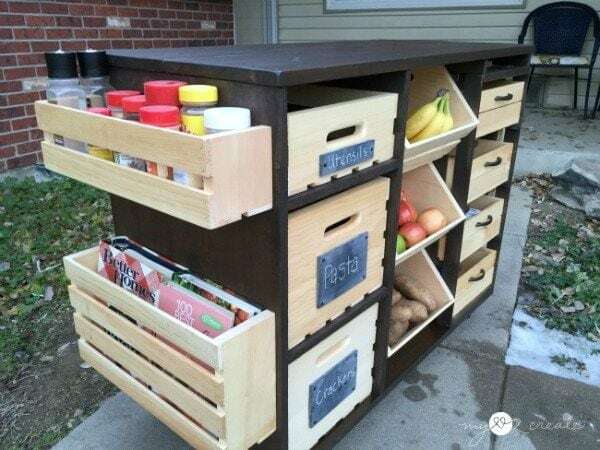 Build your own island pantry like Mindi at My Love 2 Create. 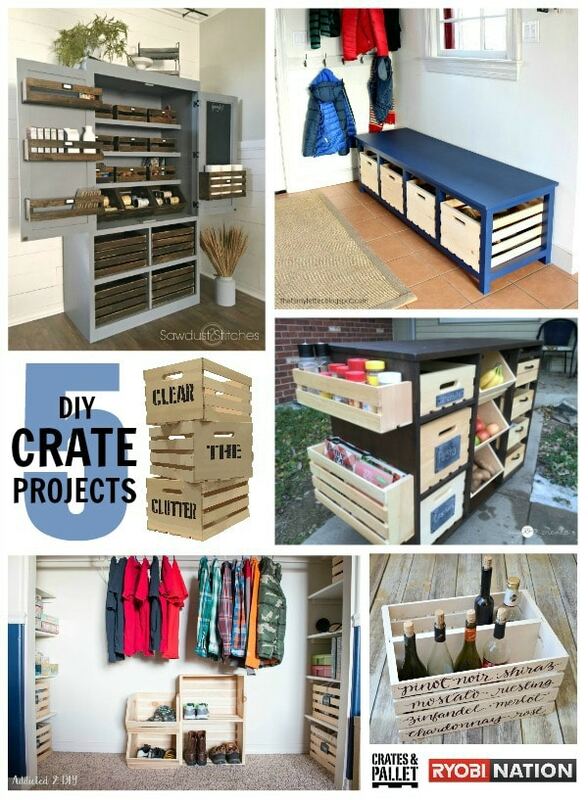 Amazing how she fit in so many crates and storage options into one functional piece. She has plans for you here. 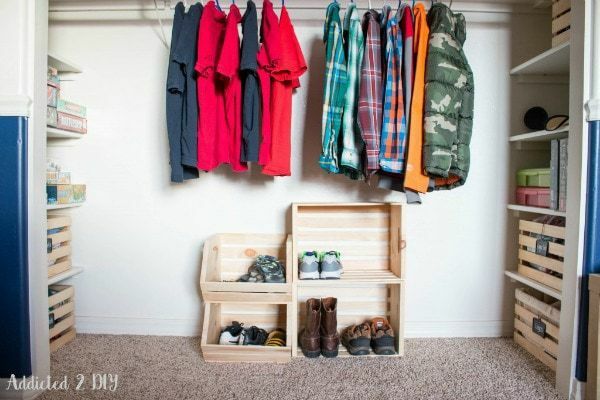 I only wish my kids closets looked this tidy! 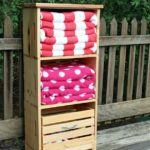 Katie at Addicted 2 DIY shows us how to build shelves for crates and make your closet super functional. Last but not least we can never forget the wine. 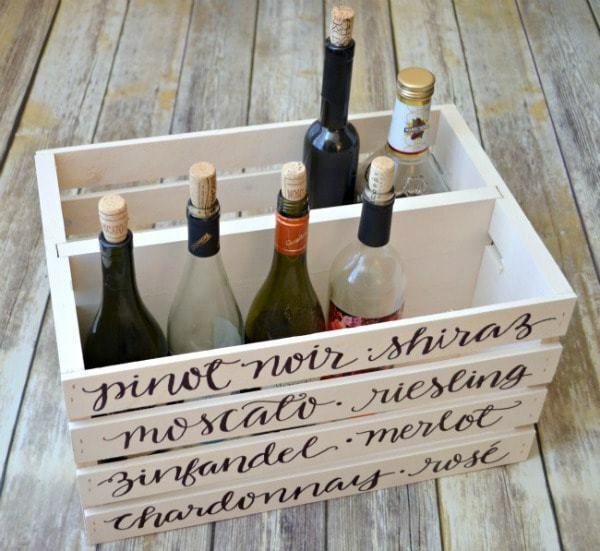 Amy at One Artsy Mama took a plain crate and made it beautiful with hand lettering. 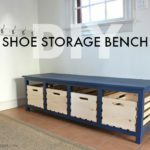 She shows you how this easy project can be done here. so many great ideas! It's impossible to choose a favorite.